SEGA have announced that Mario & Sonic at the 2012 London Olympic Games has achieved sales in excess of two million copies, during the three months since its November launch. To be exact, it achieved 2.39 million copies across Europe and North America, with the game still set to hit Japan. In comparison, Sonic Generations, released for Xbox 360, PlayStation 3, PC and Nintendo 3DS in November, was able to sell 1.63 million copies. 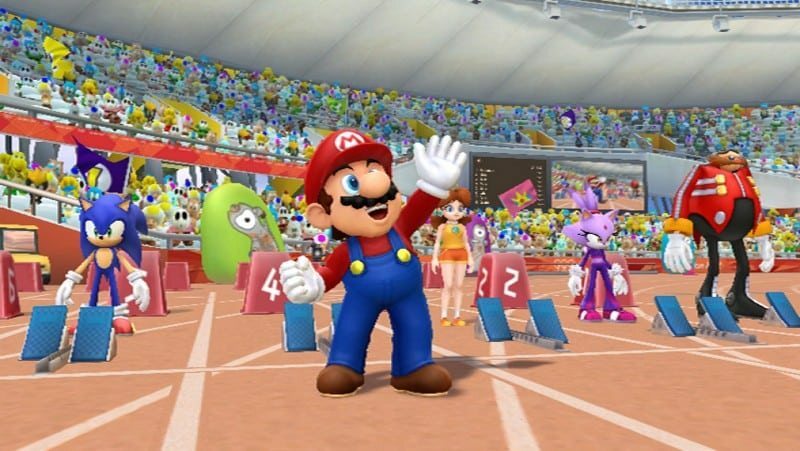 You can read our review of Mario & Sonic at the 2012 London Olympic Games here. Still think it’s strange that it was released so early, would have made even more of a killing if they had waited until the actual London 2012 Olympics. Is it just me or does anyone else kind of want to see Mario and Sonic at the London 2012 Paralympics lol…?